For the past decade, foodservice sales have been on a tear, outpacing those of the retail sector. 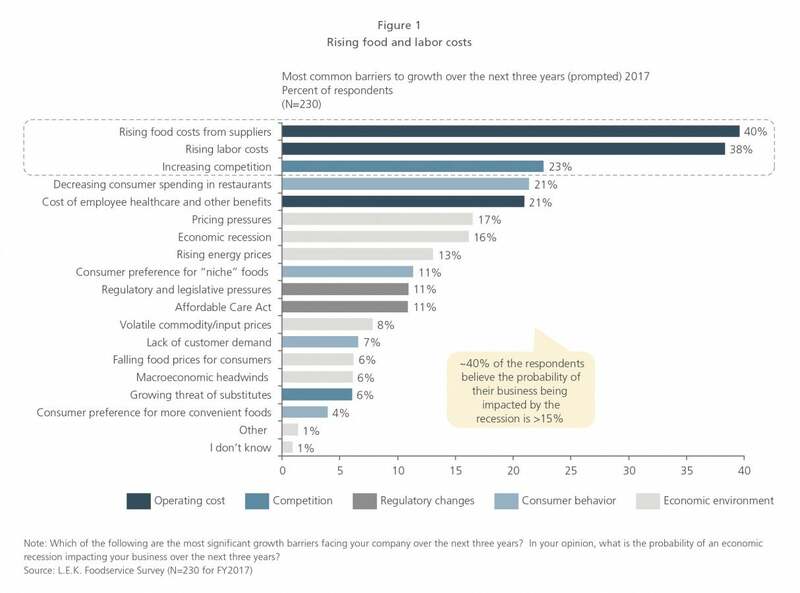 In fact, in 2015, foodservice revenues surpassed retail revenues for the first time, as more and more consumers, emerging from a painful recession, opted to dine out with greater frequency. But foot traffic has begun to slow, stabilizing at or below 1% growth. As a result, foodservice operators will need to look elsewhere in order to build revenue. In this Executive Insights, we discuss findings from the 2017 L.E.K. Consulting U.S. Foodservice Operators Study. 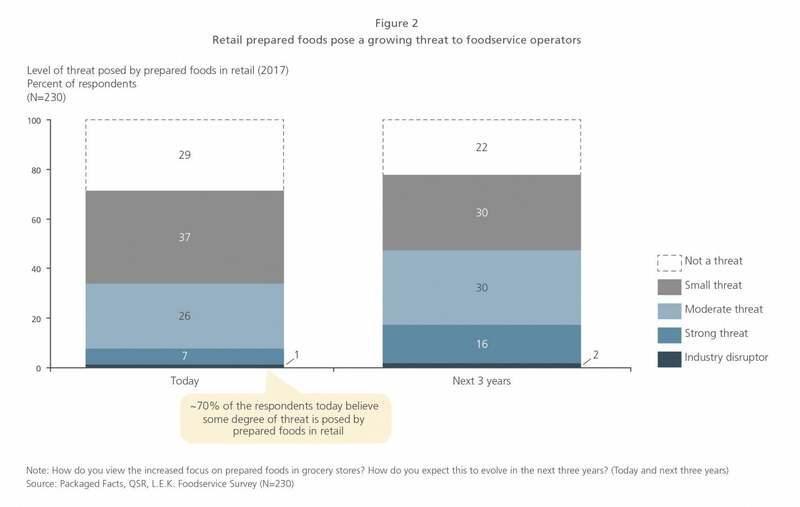 According to our latest study, while foodservice operators remain optimistic, they are worried about the following significant near-term challenges. Despite these challenges, foodservice operators have a number of tools at their disposal to battle competitive headwinds. As the battle for the plate continues to heat up, foodservice operators will need to become more creative about how they source ingredients and what they offer consumers. It’s been well-documented that “big food” companies today are under immense pressure. Many macro factors are at play, making it a tough time to compete.